We stayed at Beary Good Hostel in Chinatown. This allowed us to explore Chinatown and the night markets after we dropped off our stuff. We weren’t tempted to buy anything at the markets because the items sold here were more like the items you would find at your local discount store than at an exotic overseas market. Plus, it was all priced similar to back home so we weren't even tempted by the price. 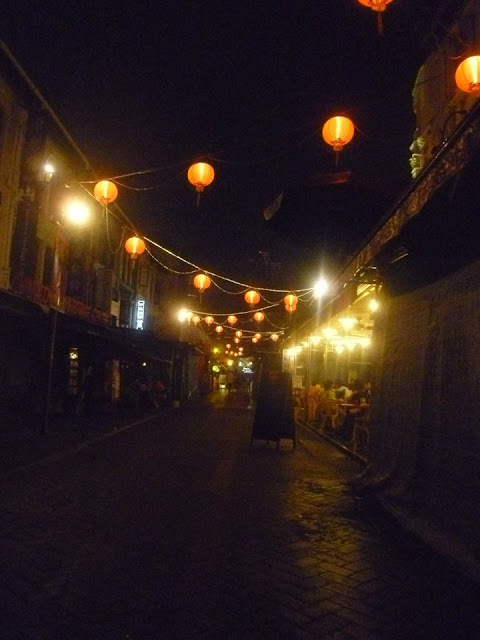 Despite this we enjoyed strolling through the streets, which were lined with hanging lanterns and eating dinner at a cheap restaurant with good food. We were in bed by midnight and despite sharing the room with 10 other people and the bedroom light never turning off, our flight from Sydney had tired us out enough so that we still got enough rest for our “big” day in Singapore. 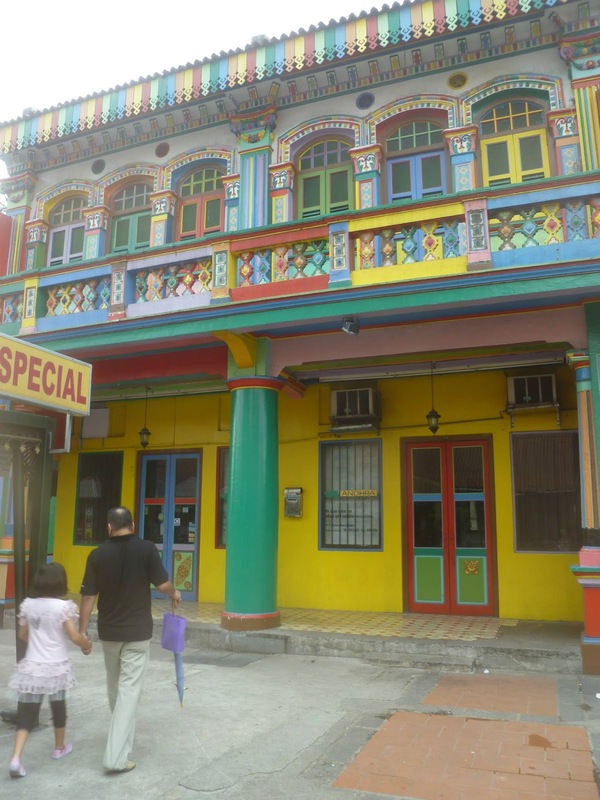 Because of the heat we wore shorts and sleeveless tops which meant we missed out on entering the elaborately decorated Hindi Temples, so if you want to explore some of the religious sites consider your wardrobe and cover up your knees and shoulders. 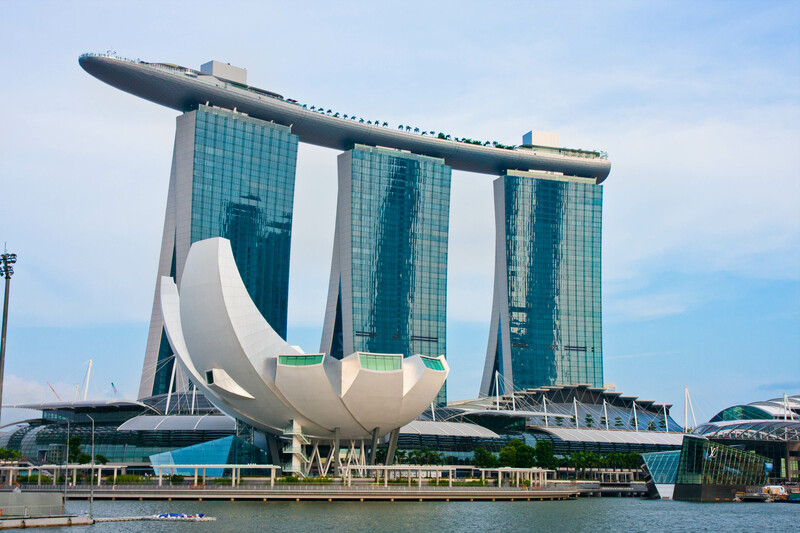 Singapore has a lot of futuristic architecture and Marina Sands is a great example (the floating soccer stadium is another!). This post is titled free things to do in Singapore so on that budget all you can do is admire this luxurious hotel. I one day hope to swim in the eternity pool on the roof but for now I can appreciate the cool design of the hotel. I had a friend that did a sneaky and entered the hotel and managed to ride up the elevator to the roof with some guests so if you are determined to check out the rooftop and are brave, that's a suggestion! Coming here was a bit of a mix up. I had a friend visited Singapore and said they went to the botanical gardens and it was beautiful. We ended up coming here thinking this is what he was talking about and explored the free sections of the gardens (there is a large indoor garden that looked cool but we couldn't afford the entry as we were are saving all our money for Europe budget). The park was pretty but not pretty enough for you to travel all the way from Sydney to see. And I only discovered we went to the wrong park when I went back to Sydney with complaints to my friend that the park wasn't as great as he described and the cool part of it required an entrance fee. Opps. If you have been to Singapore Airport, I am sure you did not blink an eye at me suggesting the airport is an attraction of Singapore but it really is. This airport was designed for long stopovers with many food stores, a cinema, games room, themed rooftop gardens, a Koi pond, free wifi, computers everywhere and luxury shopping. You could spend hours at the airport and not get bored. And besides the shopping and purchasing food (which is pretty cheap), its all free entertainment! Have you been to Singapore? Am I being too hard on this little country? Have I missed some gems (besides the actual botanical gardens?)? I absolutely LOVE Singapore! The first time we went there, I remember saying that I should have been born there - so clean, warm and just lovely!!! 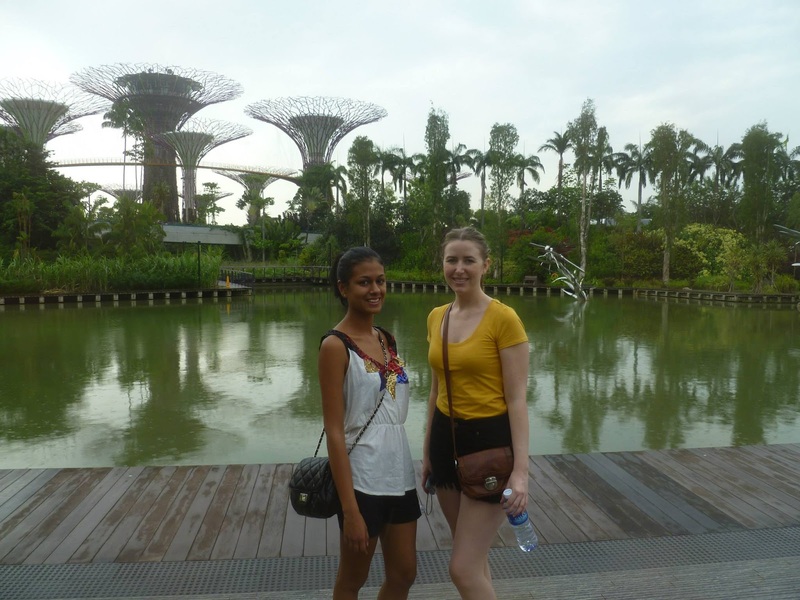 We loved Marina Bay Sands and Chinatown was great too! Love your picks.